Rare Mileage: Rail enthusiasts and clubs regularly charter trains for trips over tracks that haven’t seen a passenger train since 1971, when Amtrak was founded — many for longer than that. Most try to incorporate tracks with scenic or historical values. Big Steam: Volunteers have restored a handful of iconic former mainline steam engines with loving care, and those volunteers occasionally hook the engines up to some passenger cars and take them out for a run. Some “big steam” trips also cover “rare mileage” routes; others stick to Amtrak routes. My personal rail interests are centered on high-speed developments, airport access, transit and other routine useful applications. But a few weeks ago, I hooked up with some friends and took a genuine railfan excursion that featured both rare mileage and big steam. 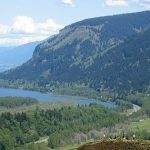 The trip I took ran from Portland, Oregon, over the Amtrak Columbia Gorge route as far east as Wishram, near The Dalles, where it turned south onto the former Oregon Trunk line, very rare mileage, up the Deschutes River Gorge to Bend. 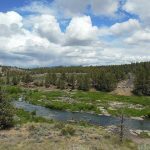 We spend the night in Bend, and returned over the same routing the following day. 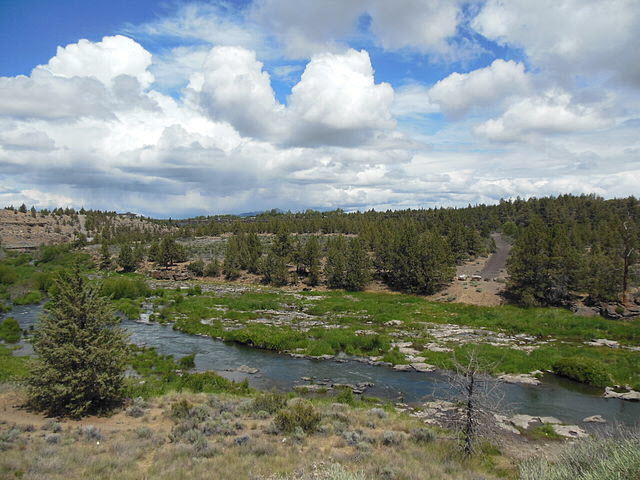 My primary interest was in the rare mileage, and this trip did not disappoint: There is no paved road through the Deschutes Gorge, and the scenery is fantastic. Big steam fans also got their reward. Our train was pulled by the well-known Southern Pacific engine 4449, a streamlined 4-8-4 model that once hauled the crack Daylights and also hauled the Freedom Train excursions. I’m old enough to have traveled behind steam as a kid, and as far as trains are concerned, my attitude toward steam is “meh.” But that’s a minority opinion in railfandom: I’d guess that most tour participants were big steam buffs. The train carried more than a dozen vintage passenger cars, including six dome cars and a parlor car, along with several coaches. These were culled from among the groups and individuals who own vintage railcars and lease them out to excursions. It also included a baggage car with open side doors for folks who wanted to photograph the train and scenery without having to shoot through glass. Although the steam engine really hauled the train, it also pulled an Amtrak diesel along to provide electrical power for the cars and as a backup in case something happened to the steam. That sort of arrangement seems to be par for the course on many big steam excursions. Both the Amtrak and rare mileage portions of the trip featured spectacular scenery in great cloudless weather. The volunteers who staffed the cars and maintain engine 4449 displayed unflagging good nature and helpfulness. Morning departures from both Portland and Bend were delayed by at least an hour — so much that our train generated scheduling problems over the single-track lines for host railroad, BNSF. This resulted in some additional sidetrack delays. The busses in Bend transporting us between train and hotels were a bit disorganized, which, combined with the late arrival, meant many of our group didn’t get to their hotels until after 10 p.m.
Air conditioning failed on several cars and several ran out of water so toilets didn’t work. The trip was surprisingly expensive. 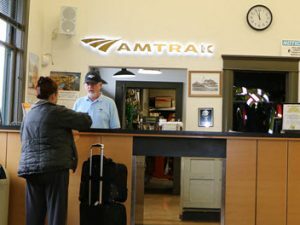 The all-up rates for the train and overnight accommodations in Bend started out — in ordinary coaches — for around $600, per person double occupancy, ranging up to more than $1500, single occupancy, in one of the dome cars.